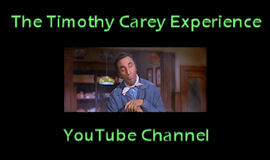 Previously unbeknownst to us, Romeo Carey, upon his first visit to the [Dead Flowers] exhibition in Philadelphia, revealed the origin of one of Timothy Carey’s signature “dances,” first devised for the camera in Bayou (1957, directed by Harold Daniels, re-released in 1961 as Poor White Trash), and revisited in other noteworthy Carey performances such as Beach Blanket Bingo (1965, William Asher) and The World’s Greatest Sinner. Arriving in New Orleans to shoot Poor White Trash, Carey apparently asked a cab driver for a recommendation as to where he might learn a distinctive Cajun dance. 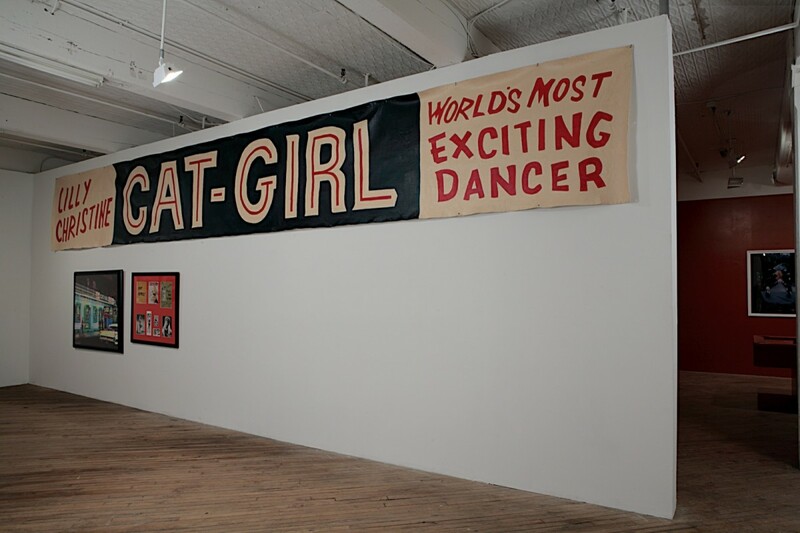 He was promptly driven to Leon Prima‘s 500 Club on Bourbon Street, where he witnessed The Cat Girl [Lilly Christine], considered the most publicized Burlesque performer of her time, and rendered the experience into one of his most characteristically eccentric performances.